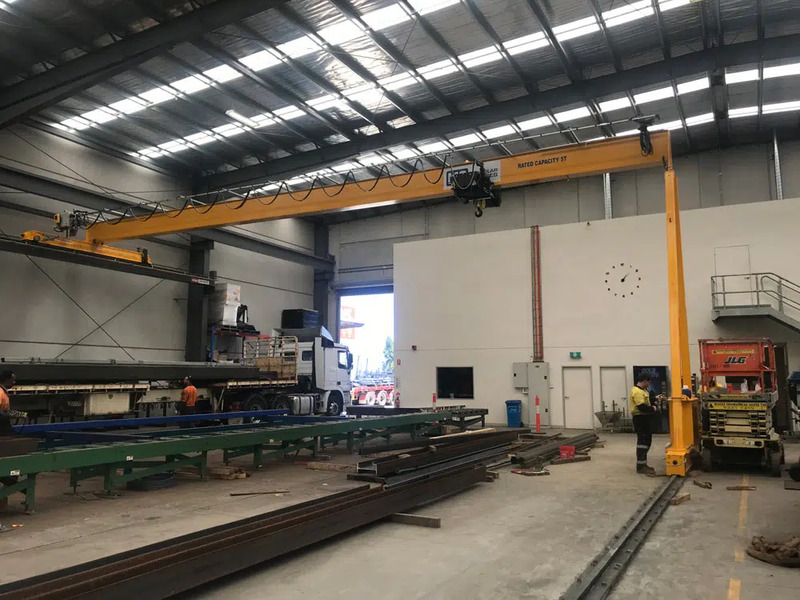 As one of Australia’s leading gantry crane suppliers and manufactures gantry cranes to suit all applications we have experience working across various sectors and industries, producing solutions for both indoor and outdoor applications. 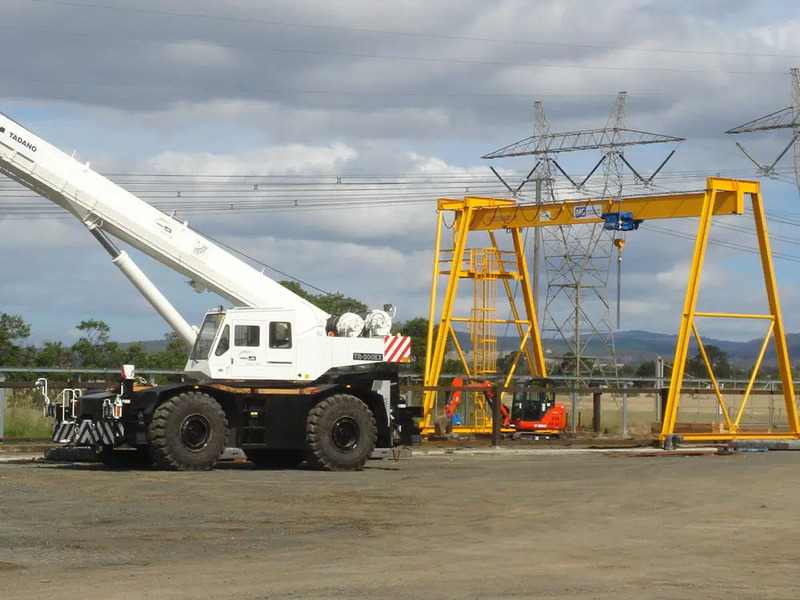 Modular cranes gantry cranes are mostly used within the mining, general fabrication, precast concrete and ship building industries. Gantry cranes are used where overhead runways are not practical or where an overhead crane is not strong enough. Generally gantry cranes are used for moving heavy loads outdoors. 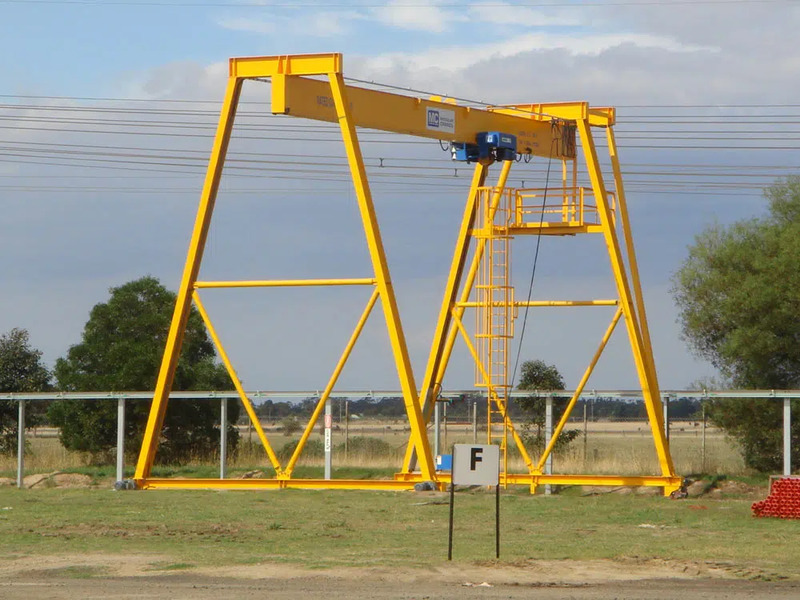 Gantry Cranes are also known as Portal cranes or Goliath cranes and operate on floor mounted rails rather than a supporting gantry system as used by bridge cranes. Often used in bulk cargo loading operations, gantry cranes are bridge cranes mounted on legs that run along a set of fixed rails or similar track or rails. Semigantry crane is a gantry crane with one end of the bridge rigidly supported on one or more legs that run on a fixed rail or runway, the other end of the bridge being supported by a truck running on an elevated rail or runway. Modular cranes have single girder solutions for Gantry Cranes from 10 T SWL up to 32T and double girder solutions up to 250T SWL. Modular cranes overhead gantry cranes are built to the highest engineering standards using advanced technology and innovative design.